Unsurprisingly, there is not a big audience for things like this. 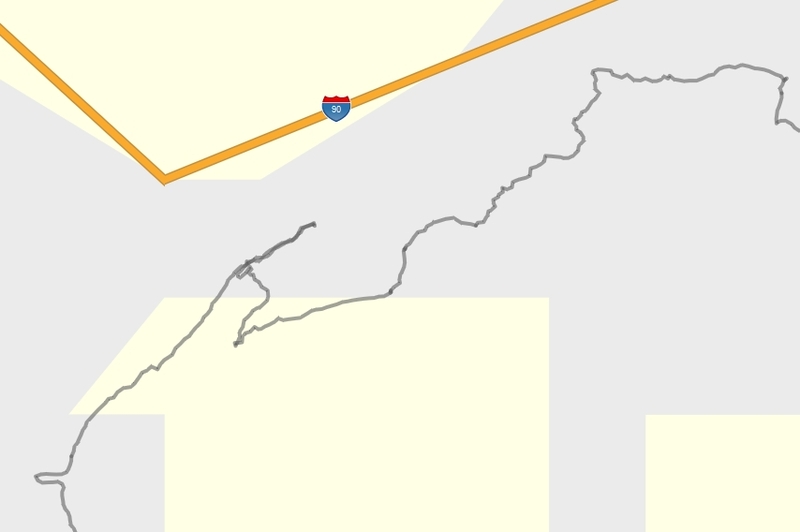 Since 2013, the 103 mile version has been completed ten times. The list of people who have finished it includes some really impressive athletes, with the fastest supported time held by Richard Kresser who finished in 31 hours and 17 minutes. Only one person has ever competed the challenge solo and unsupported – Ultrapedestrian Ras Vaughan finished it in 2014 amidst wintry snow conditions and a lot of blow down, finishing in just over 67 hours. I also followed his progress in real-time via a SPOT tracker and social media. 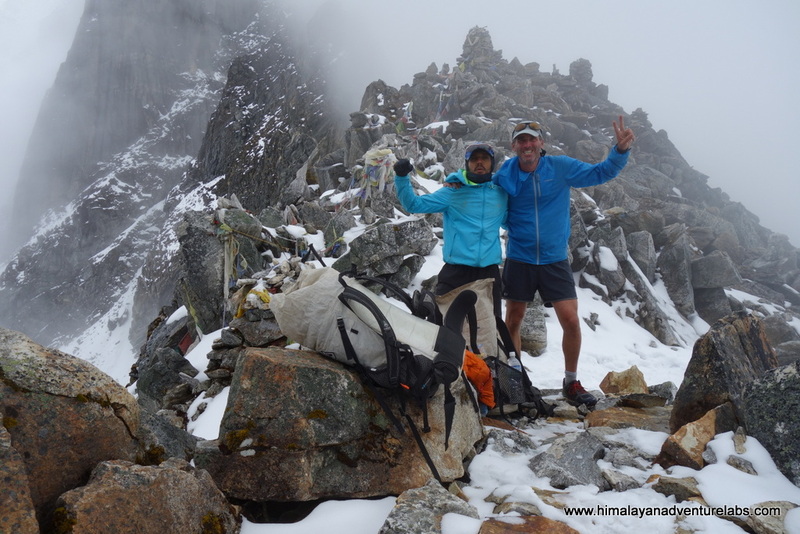 But the true champion and heroine of the trail is Van Phan, of ‘Pigtails’ fame, who was the first to complete the challenge and has run it a total of 4 times, including backwards and recently unsupported in 40 hours 41 minutes with John Barrickman. My failure in April had a lot to do with hubris, being out of shape, and the course design which is architected around destroying your legs at the beginning. My pack weighed down with a pair of snow shoes and wet weather did not help either. Ultimately I called it quits at 1:30 in the morning, rescued by the side of the road in the rain by James Varner of Rainshadow Running fame, and left Seattle a few days later for Europe and parts beyond. View from Mailbox from Last April and wher I bailed on the course. The time away was good. I did very little running for the first time in years and instead put in ton of hiking. 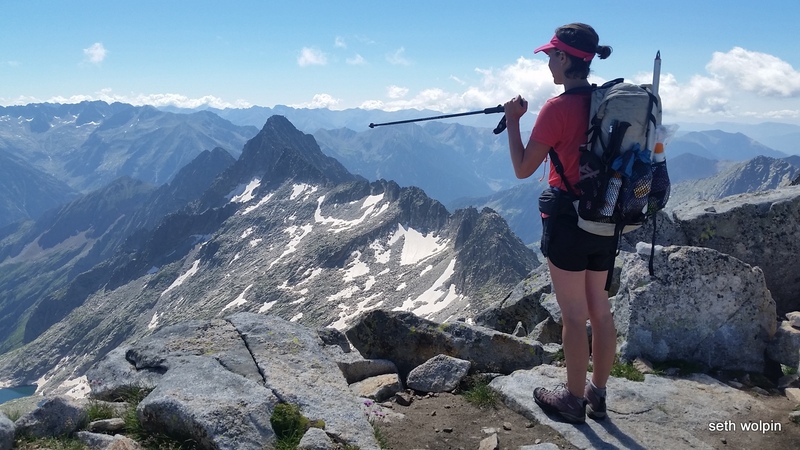 In July and August I felt fortunate to spend 42 day trekking across the Pyrenees with Naomi Press, followed by a trip to Italy and where we helped sweep at Lizzy Hawker’s race – Ultra Tour de Monte Rosa. 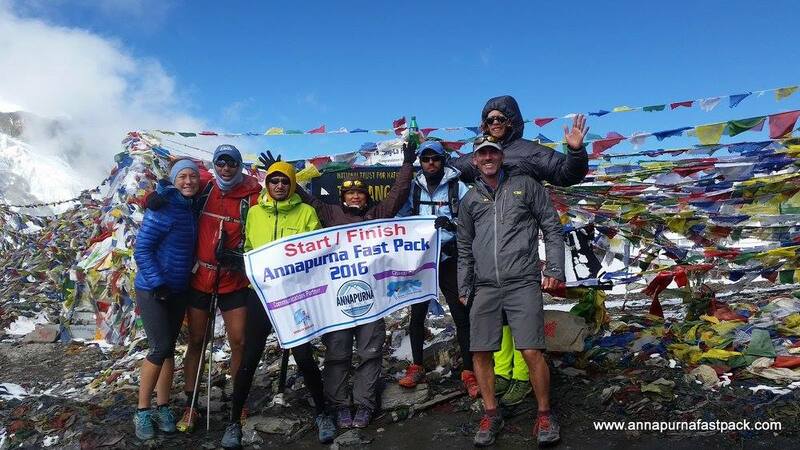 From there, I went to Nepal for the 3rd annual Annapurna Fast Pack and then did an exploratory fast pack in Langtang with Sudeep, crossing crossing two high altitude passes in under two weeks and spending a good amount of time above 3,000 meters. I felt fit. I returned to sea level in Seattle fully oxygenated in mid-October. 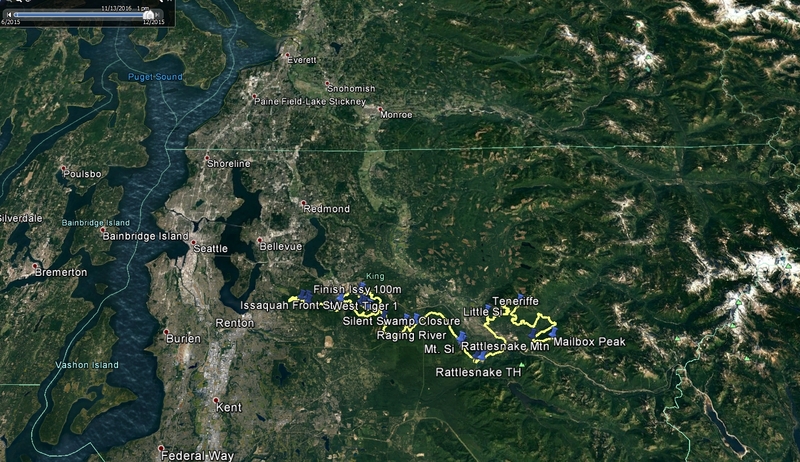 I went on a couple hikes and runs in the Issaquah Alps and felt great. November quickly arrived and the snow started accumulating on some of the nearby peaks. I knew my window was starting to close. Veterans day rolled around and suddenly the weather and some of the other logistics fell into place and I found myself making the decision on Wednesday to leave Friday morning. I arrived at the official start, Mailbox peak, a few minutes before 8am. I was a little confused and surprised to see Van Phan casually walking her dog. 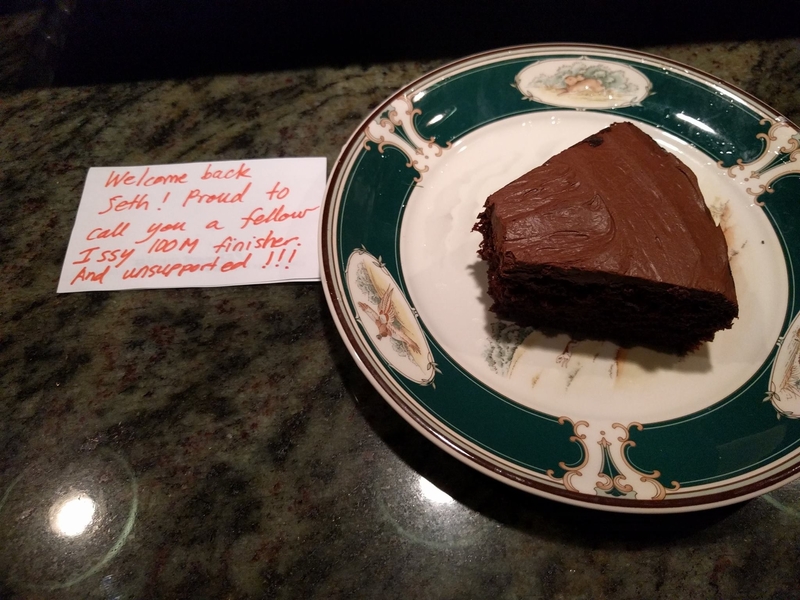 I found myself more surprised to realize she had seen my post on Facebook and then drove from her home ~40 minutes away to wish me well on my attempt. Wow. What a send off! If there is one thing I can say to others who are trying this challenge…don’t underestimate how long it will take you, especially if you are solo. My best estimate for myself was 48 hours. I had done Cascade Crest 100, a super well organized race nearby with 22,000 feet of gain in a twice in a little under 30 hours, a pretty slow pace. And I’ve done some other long runs. I am not a fast runner at all – perfectly happy to just finish. Knowing that I was looking at 8,000 feet of additional elevation, more weight on my back, no pacers or aid stations or other runners to spur me on – 48 hours seemed like a good bet. It had taken Ras 67 hours, but he had a lot of snow and blow downs to deal with, he also took some long naps and I was going to try to at least keep moving as much as possible. But I also knew that I hadn’t run in a long time and that the way the elevation was packed into the first part of the course would probably ruin my legs before reaching the second part of the course. What to do? Just go do it. And that is what happened. My legs got wicked beat up in the first 34 miles and the rest was mostly a painful, slow, slog. Half of it was in the dark by headlamp. 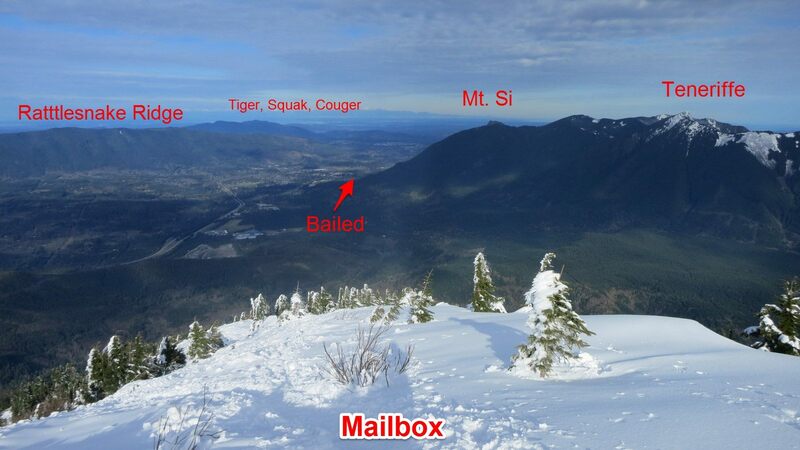 My first peak was Mailbox with 4,000ft of gain in only 2.7 miles. I went up relatively fast for me (1.5 hrs) and came back down on the old trail per the rules, bypassing the new trail with its long gradual switchbacks. From the bottom there is a short stretch of road running from the parking lot to the nearby Granite Falls trail head which is almost hidden from the road. I love this trail built on a gently graded old forest road occasionally crossed by little streams. After few miles I found myself cutting down to NFS 56 on a new trail that is smooth with curvy switchbacks that make you want to put your arms out like an airplane and make stupid sound effects. These two trails, and then jogging back on the road, is a nice little loop for people who want to add some running to their next Mailbox trip. From NFS 56, which is now paved (!) you cross the middle fork of the Snoqualmie on the bridge and immediately drop onto a rarely used trail that cuts north across the valley floor. It’s a lot of fun, one section has trees covered in heavy moss, another time you feel like you are on a nice little ridge. After a few miles you connect to the CCC trail which is old forest road and follow that to the Mt Teneriffe Trail head. I ran into Chris Fagan here, she was walking her dog with a friend. We didn’t immediately recognize each other but then put two and two together and realized we knew each other through Facebook and emails. In 2013 someone connected me to Chris and her husband Marty when I was looking for advice on circumnavigating Kilimanjaro – something they had done on bikes with their son. They were also the first married couple to ski to the south pole in – an adventure that I really enjoyed following online few years ago. And earlier this year I had done an email introduction, connecting them to Dorjee Sherpa so they could do a trek to Everest Base Camp. So lots of connections that were fun to explore and then they were gone and I was back to shuffling uphill. Teneriffe was harder than Mailbox for me. Honestly, I think the old way up it is much harder than the old way up Mailbox. But I like Teneriffe the more I do it. It is less crowded, has a big waterfall up it, and there isn’t an army of weekend warriors on it all the time who talk about it in hushed tones. I had the top to myself, now almost nine hours in at 4:53pm, and then dropped down on the ‘new’ trail, eventually getting on a connector trail that toke me over to to Mt. Si I was losing my light and also losing my legs. If you are old enough and watched TV in the early 90’s you might remember a series directed by David Lynch called ‘Twin Peaks’. Those peaks were really Mt. Si, they filmed the show in the nearby town of North Bend. View of the first (northern) section. I reached the top of Mt Si well after dark (about 9pm or 13 hours in), but did not scramble up the crumbling ‘hay stack’ – I don’t know if that is against the rules but people slip and die every year on the haystack and I didn’t feel like being on it alone in the dark. The more time I spend high in the mountains the less I like exposure. I’m not sure why but it might have to do with common sense catching up with me. Approaching midnight and a good bit lower, I did an out and back to climb Little Si (11:19pm). In 2004, I had just moved to Seattle and was completely out of shape. 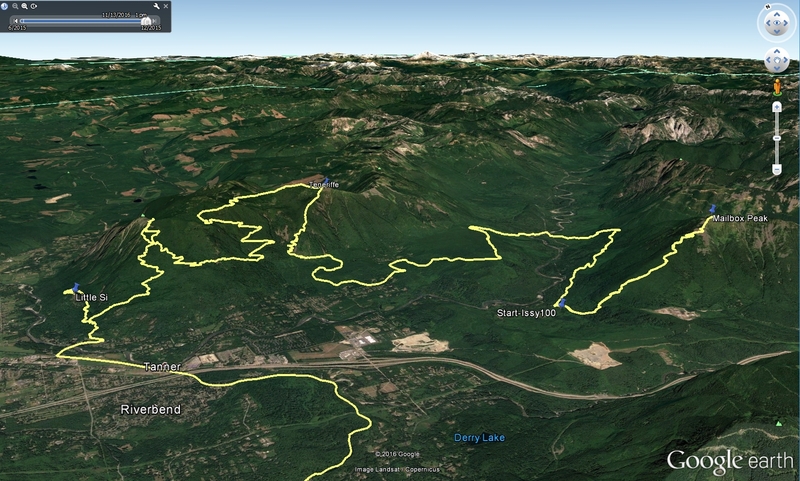 I tried to hike Mt Si but made a wrong turn and hiked Little Si instead. ah…memories. Flash forward to the present, I dropped all the way down to the same trail head where I had quit last April. After a very short stretch on road, I joined the flat ‘John Wayne’ trail here and traversed about 6 or 7 miles to the south side of the valley. At this point things started getting fuzzy. I don’t remember crossing interstate, I only remember getting really tired and almost falling asleep while trying to run, stumbling my way forward and catching myself before I veered fully off the trail. I should have been able to make up significant amounts of time on this flat smooth trail but I was out of it. Rattlesnake came next and I woke back up, climbing it and then running the ridge west as the sky slowly brightened and the rain fell. (I reached my first radio tower on the ridge at 6:12am, almost 22 hours after my start. Near the far end of the ridge after dropping a good bit you leave the normal trail and roughly follow some power lines further west toward Tiger Mountain. This is a relatively ugly section with some funny navigation. Fortunately I knew it pretty well, having initially scouted it with Julie Cassata and Yoda in 2014 and then running it on two subsequent personal runs, once from Rattlesnake to Seattle and once from further east, Snoqualmie Pass to Seattle. At its nadir, you cross the Raging River under a highway overpass (9:23am). This was actually a fast little river to ford for me and I felt relieved to get on the other side.I won’t get into the mundane details of the rest of the ‘run’ except to say I found myself walking a lot. After East Tiger (12:27pm) there was sideways rain and I did my best to keep moving with well over 28 hours on my body. Approaching the high point trail head I started coming to the conclusion that I would need to get into my truck if I wanted to finish. My plan was to sleep for an hour, make some hot soup, put on dry socks, and then either quit or continue. But the arcane rules of the challenge say that if you change your ‘style’ midway you don’t get to claim credit for your completion. Going into the truck would change the game from ‘unsupported’ to ‘self-supported’. Around this time I messaged Van to confirm that Highpoint was mile 60 in the course and also to let her know there was a good chance I was going to get into my truck and maybe quit. Van wrote me back almost immediately and said it was actually mile 68 and encouraged me to finish, saying something to the effect that once I got back up on the top of Tiger it would be ‘less than a marathon’. I thought that was a funny way to encourage someone but felt buoyed by her enthusiasm. I made it through the homeless camp outside High Point and then past my truck without stopping. I ran on the far side of the road and tried to keep my eyes on the concrete in front of me, working hard to not to think about all the warm goodies inside. A little mixture of paranoia, honesty and stubbornness kept the truck at a distance and soon enough it was behind me. I’m still unsure with how I feel about rules like this, and why and whether I really care. What happened after this? Not much other than a very long second night or slow running. These were popular trails for the most part and the climbs were never too bad. I went up and over Tiger again crossing all three summits. And then over to Squak where I accidentally took a wrong trail toward a historical fireplace (?). Fully corrected, I made it to the far side of Cougar (7:06am, about 47 hours in) before doubling back. In my own weirdly fogged mind I thought I was going to run around a huge lake on Cougar. The rational side of my mind knew there was no huge mountain lake on Cougar but the loop on my map made it look like I was going to follow a big lake. Big circles are always lakes right? Right? Of course there was no lake and the loop seemed to take forever. I ran past a spot where I had a bad argument in 2010 with someone I was dating in a short lived relationship. I moved on and replaced that memory with some weird shuffling. The ground was really too wet to lay down, but at one point I crashed for 20 minutes using my emergency space blanket thing for warmth (it wasn’t very warm). In total, I spent about an hour ‘resting’ on the ground – usually in 10 minute breaks. I think many other hours of sloth were accrued with small breaks getting food out of my pack, water, bathroom, stuff like that. I can waste a lot of time on the trail. But I would inevitably get off the ground and start moving again, shivering from the cold and my legs stiff and uncoordinated with each ‘break’. Favorite Bridge – on connection to Cougar? Somewhere leaving Cougar I ran into my buddy Lars who was out with his friend Tony Byrd. They knew what I was doing and gave me a bunch of encouragement to finish. I felt like I was only an hour or two away. During a brief break I looked at my phone and realized that my friends John and Kathleen were driving to the finish to great me with hot soup and beer. Visions started dancing in my head. I crossed back to Squak 9:32am on Sunday morning, about 49 hours after starting and and sat in the grass and talked to a couple that were clearly trail runners. I failed to catch their names but appreciated their encouragement. In the broad daylight here I could not help but think of Yitka Wynn’s experience. Yitka may have been the last person to attempt this as a solo unsupported run and she did this section in the dark. 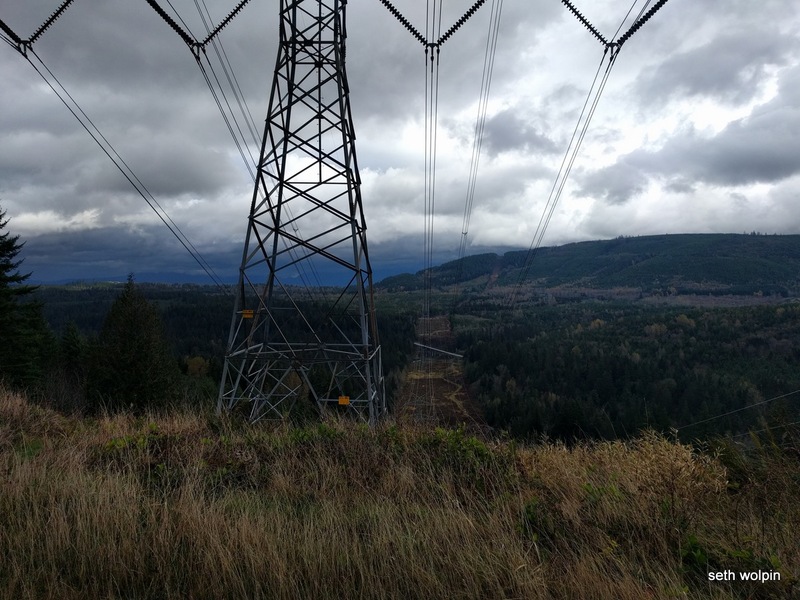 If you read her very scary trip report – I think she got turned around in this area while also having the misfortune of coming face to face with a mountain line AND a creepy guy in the woods. 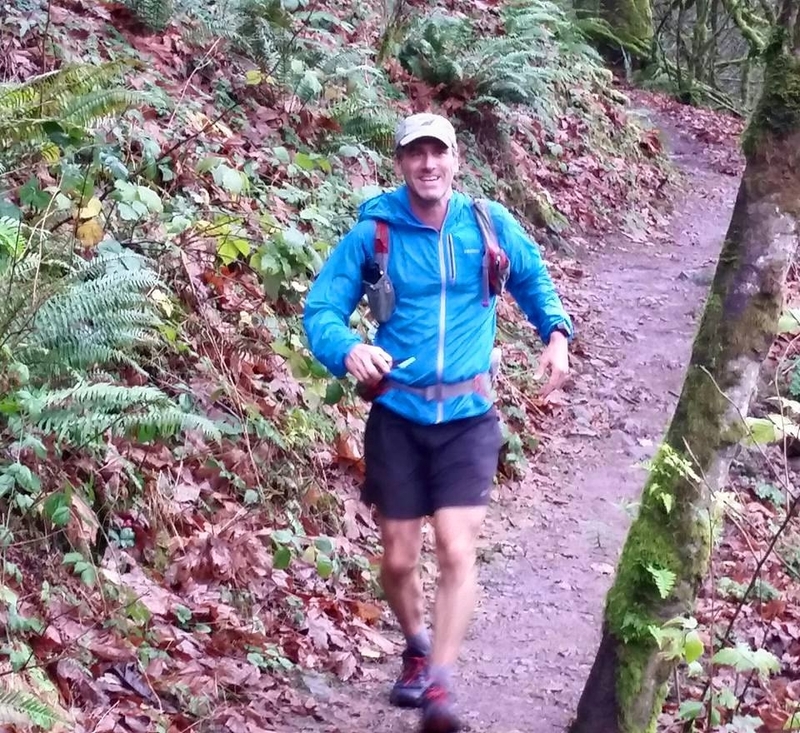 In the end she ran the one way she knew was safe – toward her friend’s house in Issaquah – labeling her effort a ’99 mile DNF’. After some study back at my desk I find that I have two GPS guides/tracks for this area – one that cuts up the stairs (in a segment) and also a complete track that I probably made a couple years ago by joining together all of the segments that you can download. That complete track continues through the homeless camp and is what I had loaded before my trip because I didn’t want to have to stop and load different sections. I just checked the website where only segments are posted and the segment is correct – going up the stairs. It serves me right for using old files. I did a visual comparison of all the segments and the complete pre-departure track and that was the only deviation I could find. Eventually I stumbled into the upper parking lot at High Point. I wasn’t sure whether this was the official end or if where my truck was parked was the official end. Either way I had to reach my truck. So I tagged a sign and then started limping down the small 0.3 mile connector trail to the lower parking area. You can imagine my happiness and gratitude as I approached the end – standing in the rain were John, Kathleen, Van, and George ringing cowbells and hooting and hollering. Beers were opened, hugs were dispensed. Van gave me her traditional post-race bathrobe to wear and a whole pizza drizzled with pesto. John and Kathleen gave me some hot soup and I got to curse at George for destroying my legs with his course design. It was my first time meeting him in person and he seemed to take my rants with good nature (you can get away with a lot after covering 103 miles of trail). I fell asleep in John’s truck on the way home and was in bed by 5pm. My official overall time was 53 hours and 26 minutes per Van’s measures. Overall, half the time was in the dark. It is certainly not a fast time for covering this kind of distance, even with the elevation gain factored in. But that is ok with me. I had fun. And now this monkey is off my back. Huge thanks of course to Kathleen, George, Van and John. Thanks also Stephanie for helping me get to the start and to everyone who sent me messages of support along the way especially my big sister Robin followed my progress online and sent me lots of text messages of encouragement. Kathleen, George, Van, and John at the finish. Wahoo! I recorded this journey using a variety of devices. My Delorme sat transponder was set to relay my location every 10-20 minutes. The track is complete except for about 1:20 minutes when I accidentally turned it off. A complete (with some sections redundant) set of GPS tracks was produced by the Samsung S5 I carried and also the Nexus 5e that I carried (it didn’t do so well with batteries so I kept it off quite a bit). Most of the journey was also recorded in 60 second increments on my Suunto ambit 3. And the Delorme also recorded a 2 minute local GPS log. When I combine the best GPS tracks together I get one with 16,387 points measuring in at 109 miles and 57,912. This file likely contains gps noise that causes over counts, so I reduced it to to 5,544 points and came up with 105 miles and 48,080. If you look at the elevation profile of it (from Garmin Basecamp) there is still some noise in the data. GPS is really not a perfect measure/science – many variables are at play and too often people argue about their numbers as if they are a stone cold fact. GPS isn’t, it is noisy and messy. The original estimates of 103 miles/50,000ft of gain make sense to me. All of my files can be found here. Samsung S5 phone with no SIM card but GPS and maps loaded ( I mostly used this because it had better battery life). Food: About 4,000 calories which wasn’t enough. Mostly cliff bars and some dried salmon and a piece of bread. I finished with one expired protein bar. Water: Two plastic 500 ml water bottles. These were too small and I wish I had brought bigger bottles. 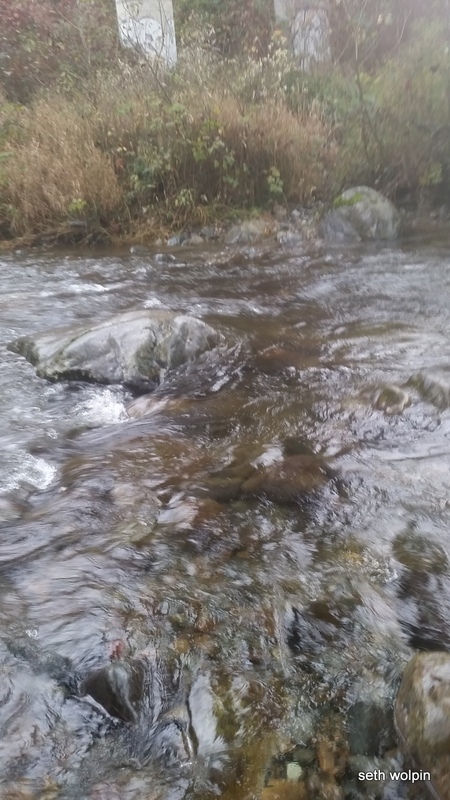 I refilled at about 8 different streams and did not treat anything because I like to live a little dangerously and I am lazy. I did not weigh my pack because I knew I would obsess about the number. Below is a complete photo album of the slog. Some pictures are not that interesting but included to help document that the full course was completed. What a great read! So glad you took the time to write this up. And thanks for all the details! Congratulations, you deserve it. Wow, amazing job!! Congrats! Just joined the Issy Facebook site… someday soon I’ll go for it!